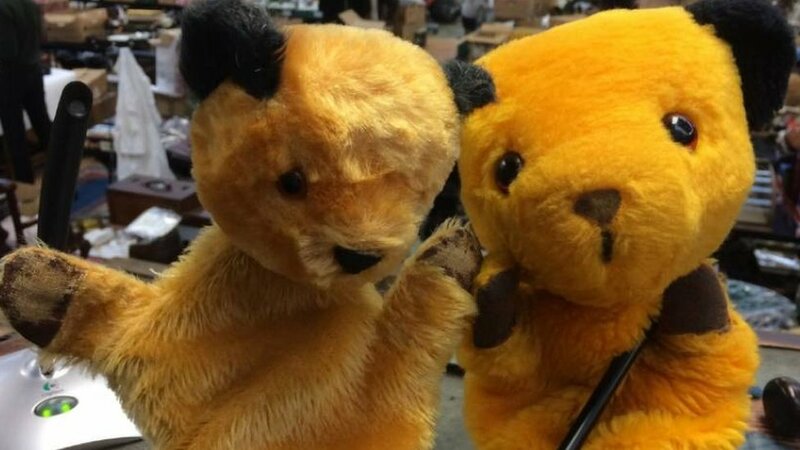 Sooty fans have the chance to buy the ultimate toy memorabilia; original hand puppets from the TV shows. Two puppets owned by father and son, Harry and Matthew Corbett, will be auctioned along with Sooty’s magic wand. One puppet used by Matthew Corbett in his last stage show in London in 1977. The other was given to Eunice Weston in 1960 after Harry Corbett stayed at her parents’ bed and breakfast pub in Clacton, Essex, while performing. Mrs Weston, now 69, was living with her parents who ran the Robin Hood pub. “I didn’t really speak to him very much,” the 69-year-old said. “I was only 11, quite shy and used to scuttle off to school. So, I was delighted at the end of the week when he gave me the Sooty puppet. Sooty turned 70 in July and – together with his friends Sweep and Soo – have delighted generations of children. Mrs Weston’s puppet, which was made to measure Harry’s hand, has an estimated auction value of £1,000 to £1,500. In September, an original puppet used by Harry Corbett on TV in the 1950s sold for £14,500. The 1997 Matthew Corbett puppet, which comes with magic wand, could fetch between £2,000-£3,000, said Hansons Auctioneers. The Sooty-wand combo up for sale belongs to Rob Smith, 37, from Tewkesbury and his wife Suzie, 35 who are selling it to raise money for a new wheelchair for her. They bought it in 2011 as it was being sold to raise money for Whizz-Kidz, a charity close to their hearts which provides wheelchairs for disabled children. Auctioneer Charles Hanson said: “I hope I can make good use of Sooty’s magic wand and deliver another strong result. “The interest in this iconic children’s character is huge,” he added. The auction will take place on 23 November.